A Conservation Area is an area of special architectural or historic interest, the character or appearance of which it is desirable to preserve or enhance. 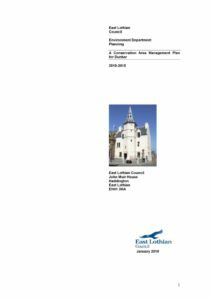 The local planning authority (East Lothian Council) must pay special attention to development proposals within a conservation area and formulate and publish proposals for their preservation and enhancement. 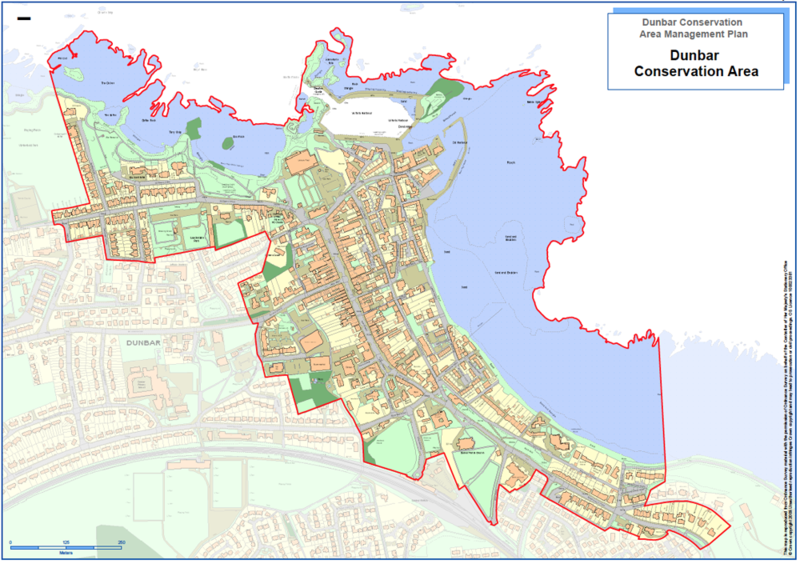 Dunbar Conservation Area was first designated in 1969 and covers a large area of the town, centred on High Street. Parts of the Dunbar Conservation Area have been targeted under long standing conservation and regeneration programmes aimed at enhancing its overall townscape. Initially required as a consequence of funding from the Heritage Lottery Fund, the purpose of this Management Plan is to ensure that the improvements to Dunbar Conservation Area implemented through successive initiatives and in particular the Dunbar Townscape Heritage Initiative are properly managed in the future. Management of Dunbar Conservation Area is principally a function of East Lothian Council as planning authority but other parts of East Lothian Council including Transportation, Community Housing and Property Maintenance and Landscape and Countryside also have a role to play in day-to-day operations in the Conservation Area. It will also be useful for other public bodies, voluntary groups, private interests and individuals.